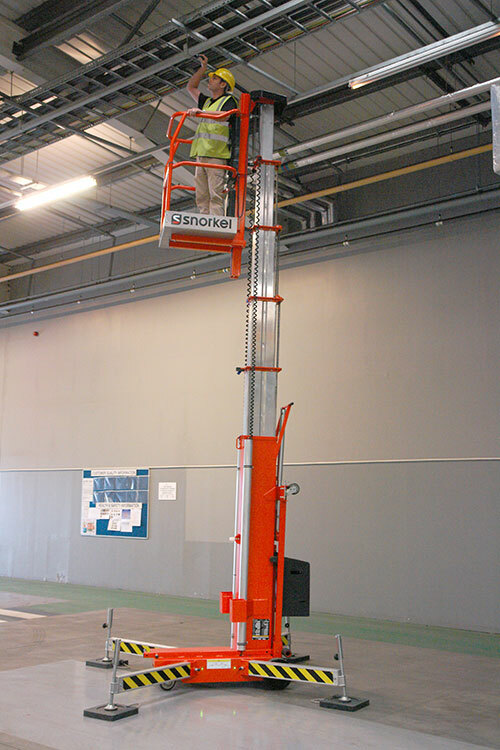 The Snorkel UL25 is a robust push-around mast lift, which safely lifts one person plus tools to a working height of 9.6m. The lift can be easily pushed to position, and can be tilted back to pass through a standard doorway. The patented ‘Girder Lock’ telescopic mast design ensures a very stable working platform, and the lift also features an easy loader system for flatbed vehicle transport between sites.